The perfect alternative to chips & dip, nachos or any other unhealthy option where you have a combination of crunchy and smooth, veggie dippers are all the flavor and texture without the unnecessary fats and sodium. Choose crunchy vegetables like bell peppers, cucumbers, carrots and snap peas, and cut them into long, thin sticks. If you are preparing them ahead of time, make sure you store them in water, so that they don’t oxidize and turn brown. For the dip, go for Greek yogurt, homemade tzatziki sauce or some organic hummus – which can be flavored in so many different ways. Spice up the dips by adding some cayenne pepper or fresh herbs on top and dip away. If you want a sweet alternative, slice up some apples and serve them with homemade nut butter or sweetened Greek yogurt. 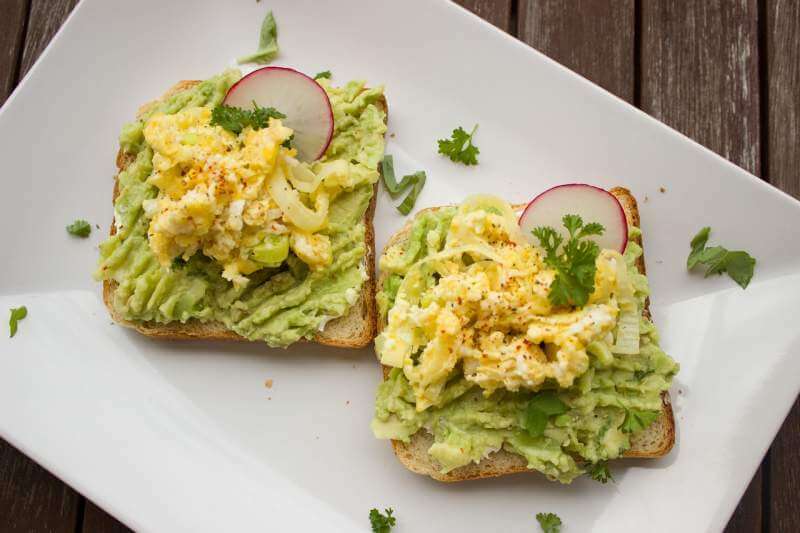 Healthy eaters’ best friend, avocado toast has been a favorite in the vegan and health-conscious community. Usually made with whole-grain bread, it contains a lot of fiber and healthy fats, but the best thing about it is just how versatile it is. You can top it with nearly anything, from fresh vegetables to salmon and rest easy knowing that it will taste good and that everyone will find something they like. However, avocado toast isn’t the most time-efficient thing to prepare, as it requires hacking open a lot of avocados. But not to worry, as this dish is a staple at some of the best catering companies in NYC, and enjoying them will be even sweeter if someone else has made it for you. 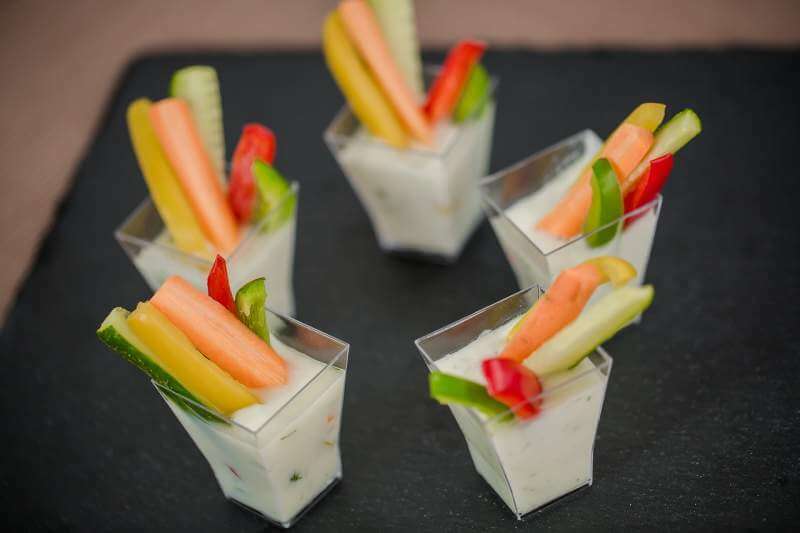 The most important thing about finger food is that it needs to be simple to eat and light so that you can keep snacking on it throughout the event. 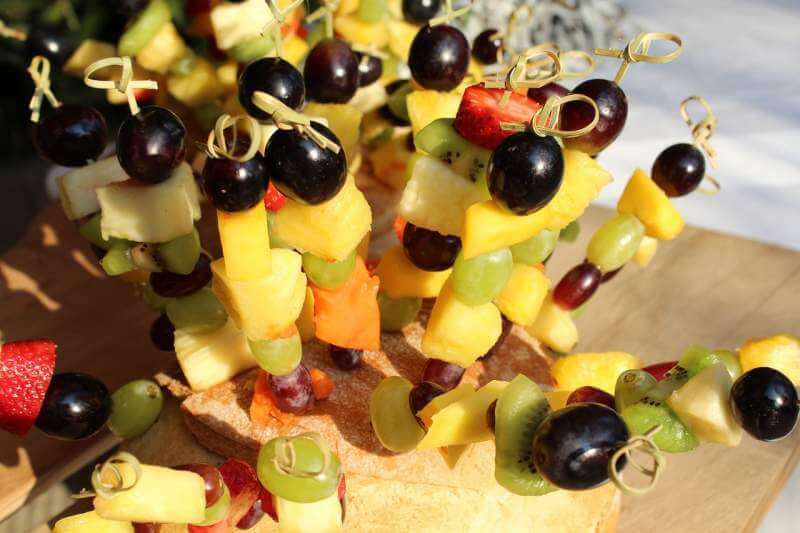 This makes skewers the perfect format for serving fruit since all the pieces are already cut to bite-size. Try to use fruit that is fresh and in season, since it will taste a lot better than if it was frozen. To make the skewers more interesting, you can try adding some other ingredients in between the fruit pieces like feta cheese, mint leaves and seeds. Try to make different combinations, or – if you don’t have time to line them all up on sticks – put the cut fruit into a big bowl and let your guests poke away, making their own combinations. Everyone likes eating chips. There is something about their crispy texture that makes you keep coming back for more. But when you’re trying to eat healthy, there are some great alternatives to store-bought chips. There are two main reasons why regular chips are bad for you: they are deep fried in a ton of oil and they have huge amounts of sodium. 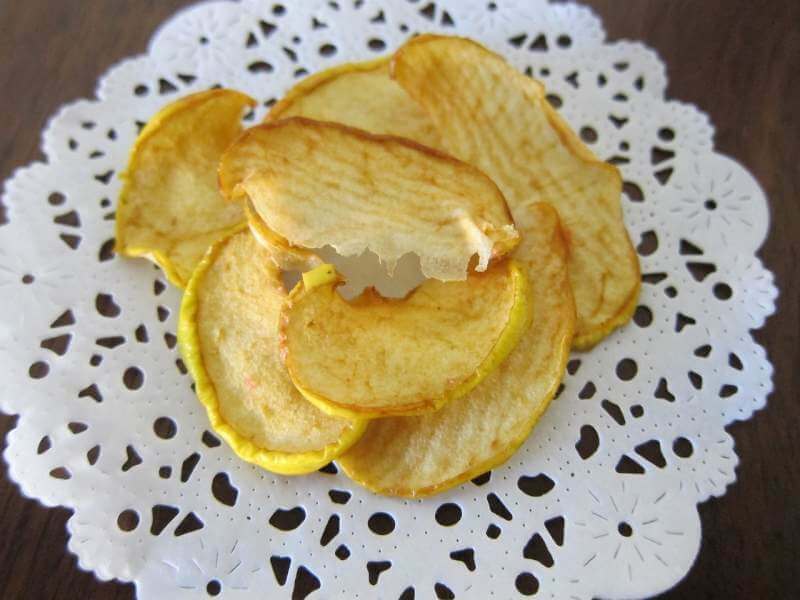 So you have two main tasks when making your own chips: infuse them with flavor by using ingredients and spices other than salt, and bake them instead of deep frying. There are plenty of recipes you can find online for different flavor combinations, so you will certainly find something you like. Sure, eating the produce raw is always the most nutritious option, but if you are choosing between two kinds of chips, homemade baked ones are the way to go. There’s really nothing that says “party” more than pizza. Topping it with everyone’s favorite additions and cutting it up into small slices that everyone can enjoy. But traditional pizzas aren’t all that healthy, so why not make a few twists? For starters, do away with the doughy crust. Instead, rice some cauliflower, drain it of excess moisture and combine it with an egg, some panko breadcrumbs and your favorite spices. Shape it into a crust and bake until it just turns golden on the edges. Then top it with some homemade tomato sauce, low-fat cheese and basil for a classic, or cut up disks of vegetables and make a rainbow pizza. 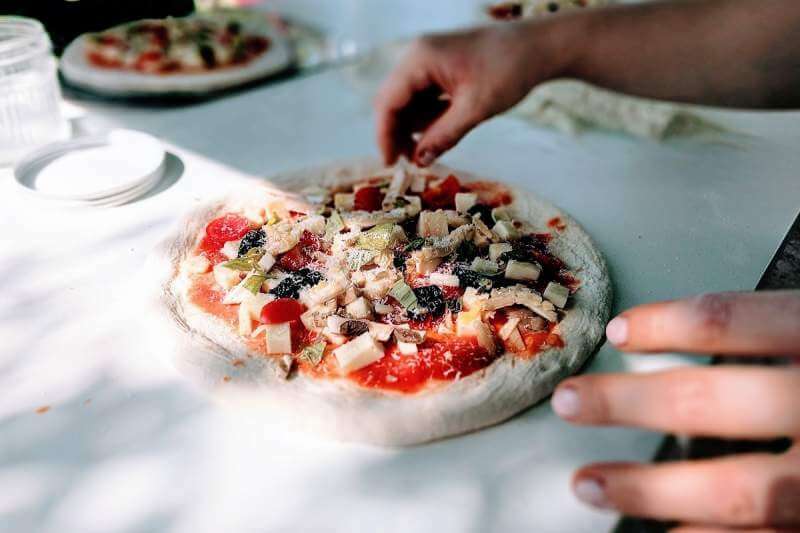 You can also make a lot of mini crusts and let your guests choose their own toppings so that everyone gets a personalized pizza for themselves. Sliders are a perfect dish that you can make in bulk but still make it look like you’ve put a ton of effort into preparing it. Start by cutting the dinner rolls in half (if you get ones that are connected in one large sheet, it will make it a lot easier) and toasting them in the oven for a few minutes. Then, start preparing your toppings. For a vegan version, bake a large sheet of falafel which you will place across the rolls, a tahini sauce to bind it together and an assortment of vegetables and different toppings. 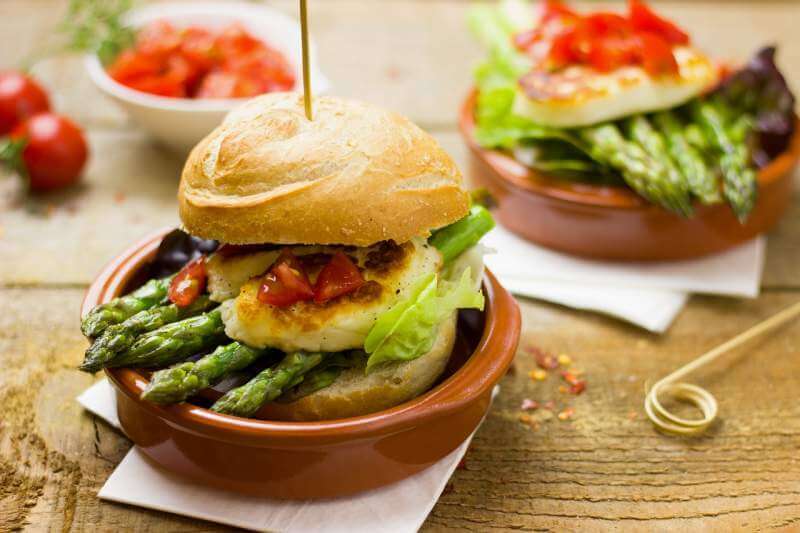 If you want to add some meat but still keep it healthy and light, opt for a lamb burger, or fill them with shredded chicken breast, because the leaner meats will make it a healthier dish. Eating healthy is only difficult if you don’t give yourself the option to eat healthy. All of these recipes can be used for everyday snacks, so you can try them out even if you’re not throwing a party. We tend to always go overboard on food when we are having fun because we’re just not thinking about the things that we’re eating, but there should always be a balance, and having healthy options will help you with staying on track.